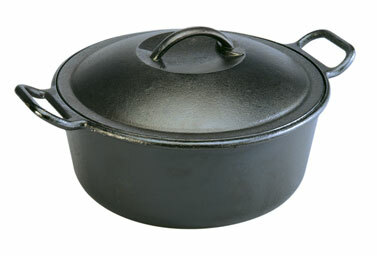 I am reseasoning my cast iron dutch oven, using the method from Lodge. I figure they’ve been making cast iron pots and skillets for so long, they must know what they’re talking about. The problem is that the dutch oven is in my oven and the house is getting smoky! What’s up with that? Not enough to set off the fire alarm, but it’s definitely a little paler in the kitchen. Am I doing something wrong?